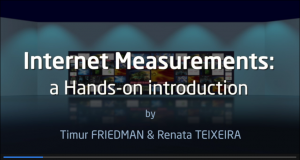 We just learned our colleagues Timur Friedman (UPMC) and Renata Teixeira (INRIA) and Timur Friedman (UPMC) are teaching a new course: “Internet Measurements: a Hands-on Introduction.” The course will be available from May 23rd to June 19th, 2016 on the platform France Université Numérique (FUN). 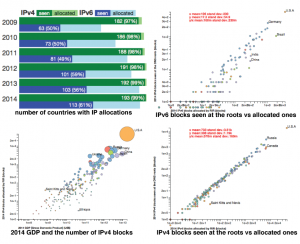 This free online course, taught in English, will cover internet measurement basics including network topology and routes; connectivity, losses, latency, and geolocation; bandwidth; and traffic measurements; with hands-on exercises on PlanetLab Europe. Students of this course will ideally have a level of understanding of internet technology that comes from an advanced undergraduate course or a first Masters course in networking, or equivalent professional experience. So, you want to draw the Internet? 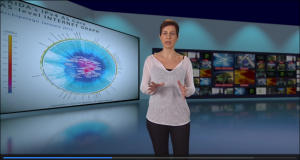 I gave a class lecture at UCSD in January 2016 on visualizing Internet AS topology. I also prepared a supplemental data set to facilitate student exploration and experimentation. Comments and feedback welcome! 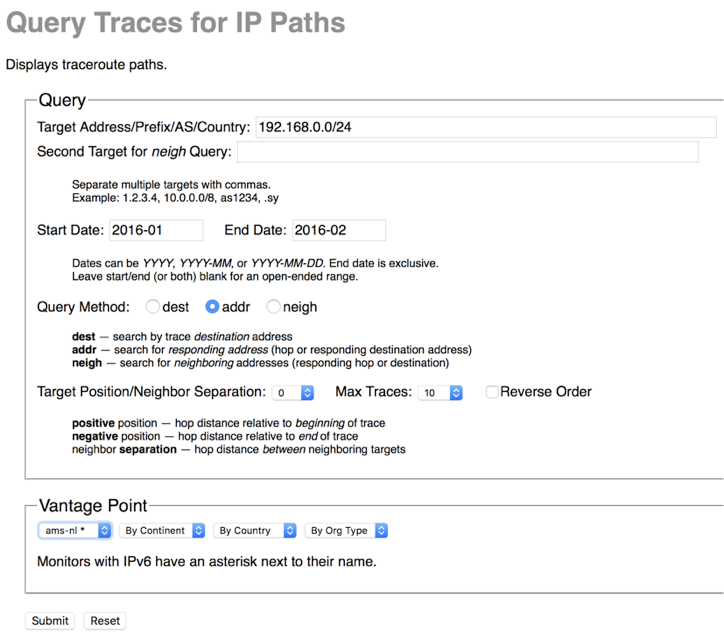 As economic pressure imposed by IPv4 address exhaustion has grown, we seek methods to track deployment of IPv6, IPv4’s designated successor. 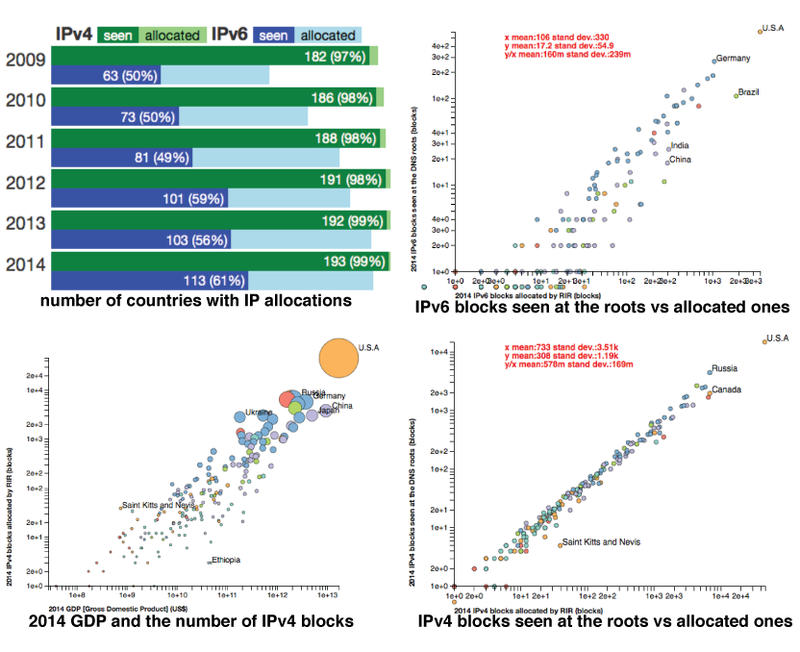 We examine per-country allocation and deployment rates through the lens of the annual “Day in the Life of the Internet” (DITL) snapshots collected at the DNS roots by the DNS Operations, Analysis, and Research Center (DNS-OARC) from 2009 to 2014.